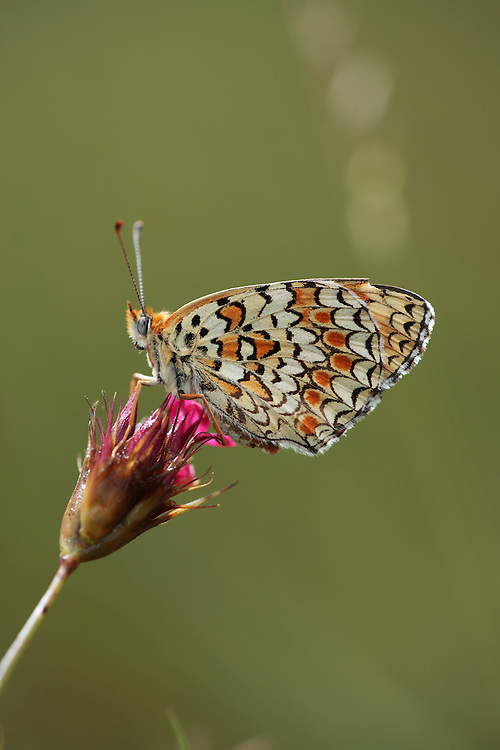 Knapweed Fritillary Butterfly, Melitaea phoebe, resting on Pink, Dianthus sp.. Female. Mountain pasture, Mount Baba (1635 m) in Galicica National Park.